Home Android Zone Promos Sale Smartphones Android Zone Launches Payday SALEbration! 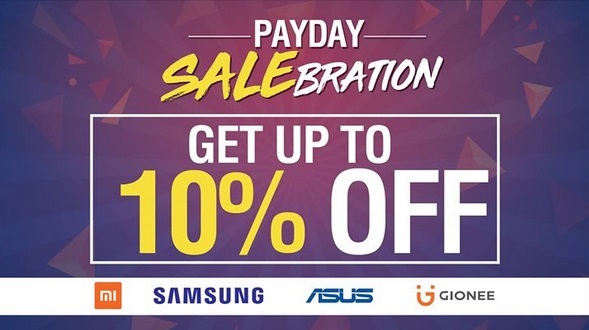 Android Zone Launches Payday SALEbration! Sale alert! Android Zone has announced its promo dubbed as Payday SALEbration to allow consumers score new smartphones with up to 10% discount. With this deal, some of the hottest smartphones have dropped its price tags. It includes devices from popular mobile manufacturers such as Samsung, Xiaomi, ASUS, and Gionee. Sounds like a deal, isn’t it? The promo is available in all Android Zone stores beginning today, September 28. Are you getting one? Let us know what you think!